I read this article and found it very interesting, thought it might be something for you. The article is called Do Monsoons Really Matter For Growth? A 15-Year Data Primer and is located at https://archive.indiaspend.com/sectors/indias-agriculture-failings-or-lessons-from-nicaragua-peru-turkey. How important are the monsoons to India’s economy? It’s a million dollar question asked every year. In years where monsoons falter or fail, everyone, from farmer to policymaker is on tenterhooks. The good news is that increasingly, the effort is to understand the data better. IndiaSpend’s Dhritiman Gupta prepares a three-way primer that builds on 15-year data to look at economic growth, agriculture and more importantly agriculture productivity. 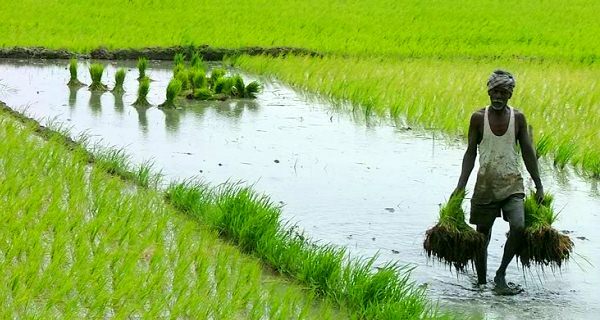 The key takeaways: while monsoons, agriculture and economic growth are inextricably linked today albeit to varying degrees, higher agriculture productivity could significantly offset the effect of poor monsoons. A statement that is best illustrated by the fact that India has amongst the lowest productivity, across crops, from rice, wheat, fresh vegetables, groundnuts and sugarcane despite being one of the world’s largest producers. The share of agriculture in total production (GDP) has been steadily declining- it stood at 14.2% in 2010-11 down from 16.4% in 2007-08. And its impact can be sharp. Let’s look at how agricultural growth and total growth moved together since 1996-97. Looking at the movement of growth rates, it’s clear thatoverall growth rates were negatively affected in the years that agriculture suffered. For example overall growth rates fell from 8% in 1996-97 to 4.3% in 1997-98, as agriculture decelerated in 1997-98. Growth rates fell from 5.8% in 2001-02 to 3.8% in 2002-03 as agriculture decelerated by a massive 7.2%. Even though the slowdown from 9.3% in 2007-08 to 6.7% in 2008-09 was considered an effect of the global recession, one cannot help but notice that 2008-09 was also a bad year for agriculture. The year 2009-10 is an outlier, where even though agriculture suffered growth in general picked up. One reason for this could be the fiscal stimulus packages the government implemented to counter the effects of recession. Whatever the reason, fact is overall growth still depends on agriculture.Moreover, stability in agriculture is all the more necessary as 52% of population of India is dependent on agriculture. But is stable agriculture the only solution? Before we answer that let’s explain what we mean by ‘unstable’ agriculture growth. A look at (Table 1) shows thatagricultural growth numbers are all over the place. For example in 1996-97, agriculture grew by 9.9% only to decelerate by 2.5% in 1997-98. In 2001-02, agriculture grew by 6.2% and in 2002-03 the growth was -7.2%. Such examples abound. Why such fluctuations? For one, irrigation facilities are not universally available. Another reason could be that the techniques used inproduction are still backward, which make agricultural productivity (tons/hectare) lower, which in turn makes agriculture that much more dependent on good monsoons. Let’s look at performance of monsoons along with agricultural growth. The first observation that can be made from (Table 2) the years in which rainfall has deviated a lot from what is normal, agriculture has suffered. Examples are the years 2000-01, 2002-03, 2004-05, 2006-07, 2008-09, and 2009-10. In the year 2002-03, rainfall was off its mark by 18.6% and agriculture decelerated by 7.2%. In 2008-09, rainfall deviated by 10.1% from the normal and agricultural growth rates fell from 4.7% in 2007-08 to 1.5% in 2008-09. But if rainfall deviates only slightly from the normal (say around 1%) agriculture is not that much affected. Examples are the years 2005-06 and 2007-08. In years when rainfall deviated by huge amounts (2000-01, 2002-03,2004-05, 2008-09, 2009-10) agriculture was adversely affected. However, one is mindful of odd years like 1997-98, 1999-00 and 2001-02,which prevent us from drawing general conclusions. In 2001-02, for example, rainfall deviated off its mark by 6.3%. Yet agricultural growth was a healthy 6.2%. To bring out a more general relation between rainfall and agricultural growth, we will look (in a later report) into the distribution of the rainfall across regions. Yet, on the face of it, it would appear there is a data-led connection between good monsoons and agriculture growth. Besides monsoons another, perhaps less discussed aspect which affects agricultural growth is productivity. Even though India does better in overall agricultural production than many countries, productivity (tons/hectare) happens to be quite low. As can be observed from (Table 3) agricultural productivity in India has been quite low, presumably due to relatively backward methods of production. Rice productivity in Australia in 2010 was more than 3 times than in India. Wheat productivity in Netherlands was also more than 3 times than that of India. All the remaining categories follow a similar pattern, the largest difference in productivity being tomato production. Productivity in tomato production in Belgium was 27 times than that in India. Incidentally, countries like Nicaragua (also) are more efficient producers because they are export focussed, in this case to countries like the United States. This does not in any way imply that India is doing badly in overall agricultural production. In fact in 2010, India was the largest producer of Sunflower Seed, Castor Oil Seed and fresh fruits etc. In 2010, India also happened to be the second largest producer of Rice, Wheat behind China. While IndiaSpend will continue analysing monsoon-agriculture linkages, it’s clear that better agriculture productivity can help counter the effect of weak or failed monsoons. There is of course the challenge of improving output and gainfully employing a large proportion of the country’s population. Which is something that can be looked at in another report.